It’s a dessert that everyone wants to have anytime and can be a science project! It’s way cool fun for kids. Love ice cream? 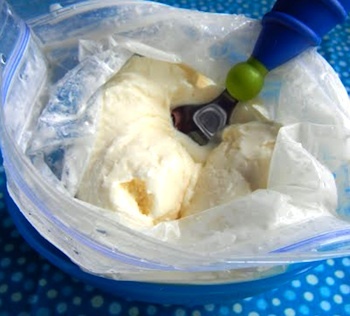 Do u want to make homemade ice cream that is delicious and surprisingly easy to make. Then come let us learn how you can make ice cream in a reseal able plastic bag with ingredients already in your kitchen. Avoid expensive, unnecessary equipments and follow these simple steps to make your own ice cream in minutes any time you have a craving. 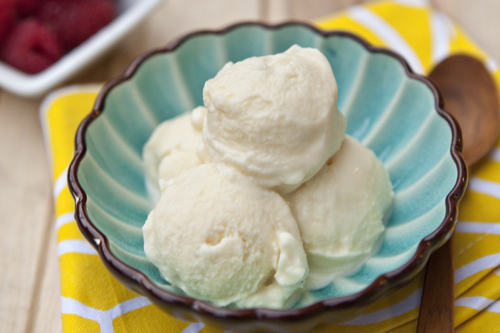 This no-cook recipe for vanilla ice cream makes about eight cup servings. For each kid you will need; 2 pint-size Zip-loc bag, a 1 gallon size Zip-loc freezer bag; and a hand towel or gloves to keep fingers from freezing. Take a pitcher or a large measuring cup; stir the whipping cream, half-and-half, sugar, and vanilla extract until sugar has dissolved. Now pour about 1/2 cup of mixture into a pint-size Zip-loc bag and seal carefully, avoid as much air as you can by squeezing out extra air. 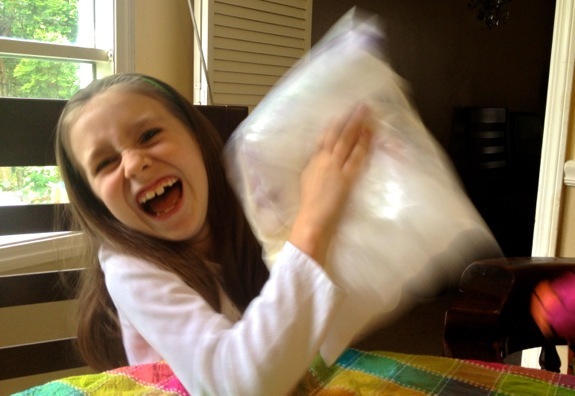 Put the first sealed bag into a second pint-size Zip-loc bag, and seal it carefully. 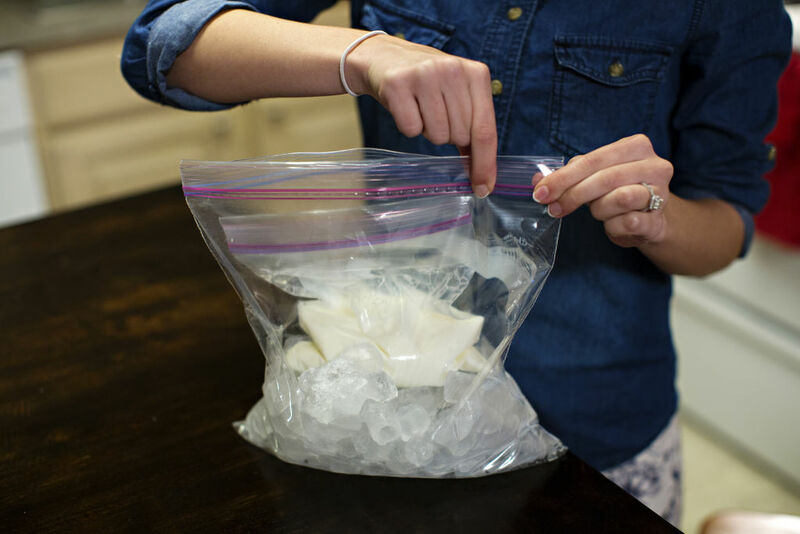 Once you seal both the bags keep them aside and fill each gallon-size Zip-loc bag with about halfway with ice and add 1/2 cup coarse salt. After adding the saly you can place one sealed small bag into this large bag and seal it. You have to always make sure that there is no air in any bag before you seal it. Do not forget t wear mittens or thick gloves, while wrapping the bags in a towel to protect hands against the extreme cold. Add little fun to your ice making; now it’s time to shake and massage the sealed bag for about 6 minutes until mixture thickens into ice cream. Once you start noticing that the mixture is getting thicker by simply feeling through the bag. In nine to ten minutes max, you should have delicious ice-cream. But, it will take a longer time if you are mixing a large batch. 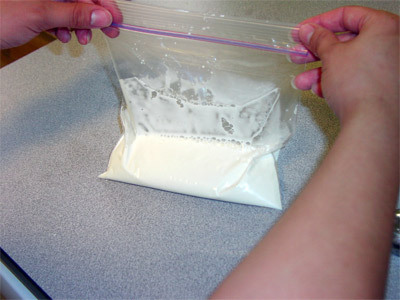 You can add more salt and ice to the outer bag if you don’t see your ice cream hasn’t formed in 10 minutes of continuous motion. Carefully remove the outer Zip-loc bag, so you don’t get any of the salty ice on your ice cream. OK, so now your arms might be aching, but that just means you’ve got a great workout and really earned the delicious ice cream you’re about to eat! While making your favorite ice cream your hands be freeze as this process creates temperatures well below normal freezing; so be cautious and protect your hands with thick gloves or a towel while shaking the mixture into ice cream. 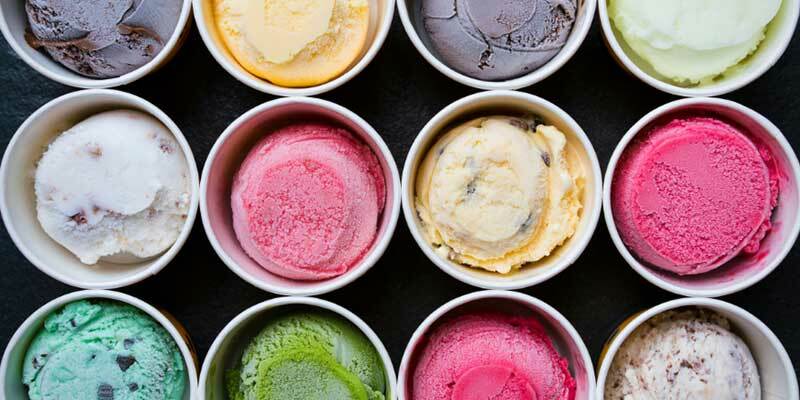 You can customize your ice cream by adding crushed cookies, syrups, bit of fruits, colorful candies, and many more. Try the same process by adding different flavors.